Impact drivers are fun to use and that is for me enough reason to use one where I can. 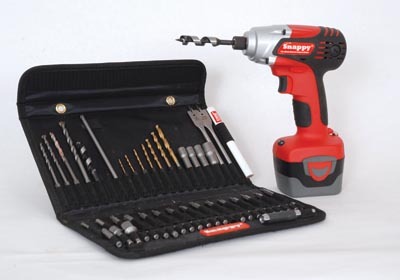 What is more relevant perhaps, is that they are extremely efficient at driving screws without camming out and breaking the heads, making removal and replacement of screws easy too. Even into difficult hardwood, it is often possible to start a screw without a pilot hole and drive it fully home with little effort. The secret is the small impact action that acts like a hammer as well as the rotary action that drives the screw forward. 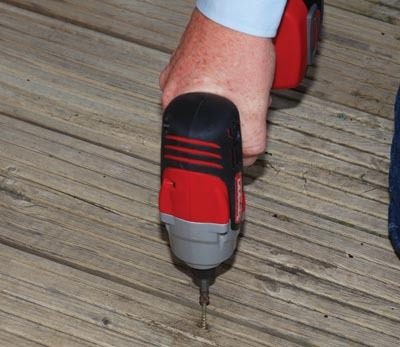 I used the Trend Snappy for a variety of jobs including making a bending jig (big screws needed), removing and replacing some decking planks and working on a fascia board a couple of metres from the ground. 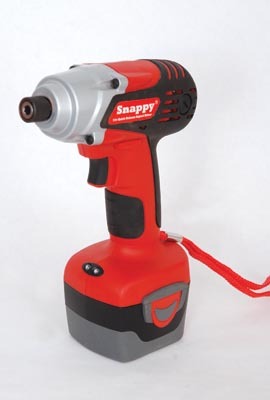 Its compact size and grippy handle and trigger make it really easy to handle. The light weight of the alloy nose is countered by the flat-bottomed battery pack (it stands on this base quite stably). The trigger action in forward/reverse and lock is commendably slick and the motor has a good whiz of revs to get screws started easily. At first the action is rotational, but as the screw tightens, the impact action clicks in and drives it home effortlessly.